, was born June 12, 1823, in Saint James Parish, Louisiana. His parents were Louis Roudanez, a French merchant, and Aimee Potens, a femme de couleur libre (free woman of color). (L'Abeille, March 13, 1890) Roudanez's baptismal record shows him listed in the "white ledger of the parish church, and two prominent white men, M. Potier, the president of the College of New Orleans, and Marius St. Colombe Bringer, a member of one of Louisiana's wealthiest families, participated in his christening. When he was a child, Roudanez's parents sent him to New Orleans, where he began his formal education and received some practical business experience in Hill and Cooley's notion store. He acquired a small fortune by investing in municipal bonds and went to Paris to study medicine. Attending medical school in Paris did more than guarantee Roudanez excellent medical training: it also exposed him to one of the most "politically liberal" professions in France. After so many years in France under liberal racial attitudes, one is surprised that Roudanez wanted to return to the racially restricted New Orleans of the 1850's; however, his friends persuaded him to settle in the North first, which he did. He enrolled at Dartmouth to study for a second medical degree. son became a dentist. At his death, three of his daughters lived in Paris, and a fourth son studied at Louis le Grand College. He lived and worked at his Customhouse Street residence the remainder of his life. Roudanez's wealth, refinement, and successful medical practice distinguished him from most other New Orleanians, black and white, and rendered him worthy of attention and repect. was the successor to L'Union when it folded, with Louis Charles Roudanez and Paul Trévigne again at the helm. The Tribune served as a voice for both free and freed African Americans in Louisiana, reflecting the changing attitudes of civil rights leaders. The Tribune printed the first page in the French of many free blacks and the reverse in the English mainly read and spoken by freedpersons. Jean-Charles Houzeau, a white journalist from Belgium whom many believed to be of African-American ancestry because of his long association with the civil rights movement, replaced Trévigne as managing editor in November 1864. 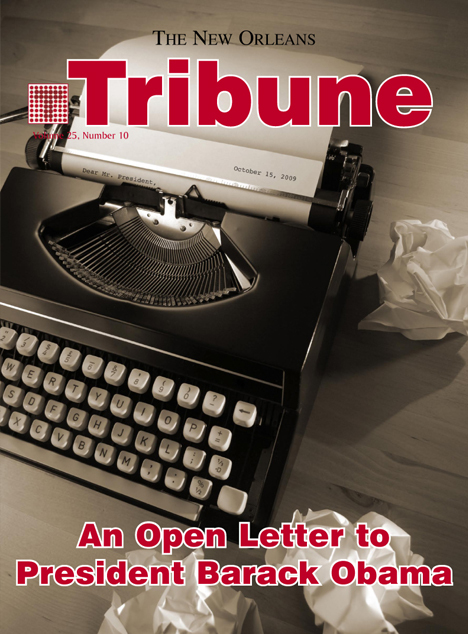 In 1867 the federal government designated the Tribune an official paper of the United States, one of only two in the state given the responsibility of publishing the authentic texts of laws, administrative announcements, and judicial decisions. The paper was published weekly by 1869 and folded the following year. As a doctor and a writer, he sought to remedy the societal injustice leveled against the people sharing his African heritage. Therefore, when the timing was right, he was ready to act upon his radical ideals of progress and reform. In the Spring of 1862, New Orleans was captured by the Union Navy, which alleviated some of the oppression felt by the black population. Roudanez, who had experienced racial equality in Paris, met with other Afro-Creoles of similar experience in an attempt to unite their energies into one political force. Roudanez and few of his colleagues satisfied this need by establishing L'Union. Considering the violent temper of the times, this act took courage. Another critic, P.B.S. Pinchback, termed Roudanez "a man who would endanger the safety of his entire race, because he could not have everything just as he wanted it." he warned black people to be aware of how they listened to this "hissing of the serpent". (Rankin, 7 In) In later years, Pinchback changed his feelings about Roudanez; and worked with him in the Unification movement of 1873.
the Unification movement was composed of men of both races. (Williams, for black people while working with prominent, influential ex-Confederates for the good of Louisiana. In this respect, he demonstrated his unrelenting battle for legal parity among the citizens of the United States, and his willingness to negotiate with adversaries to achieve this end. In an interview with the New Orleans Times, Dr. Roudanez stated his intentions. 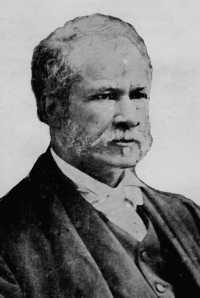 Dr. Louis Charles Roudanez died on March 11, 1890, leaving behind a legacy of human-rights accomplishments. The fact that he did not attempt to hid his African heritage is evidenced by the time and commitment he gave to secruing equal rights for people who shared his African ancestry. His vision and intelligence are reflected in an obituary written in the most conservative white-owned newspaper in New Orleans, the Picayune.